Hello and welcome to exampundit. Today we are sharing the Expected Questions from Non-Banking Financial Companies. 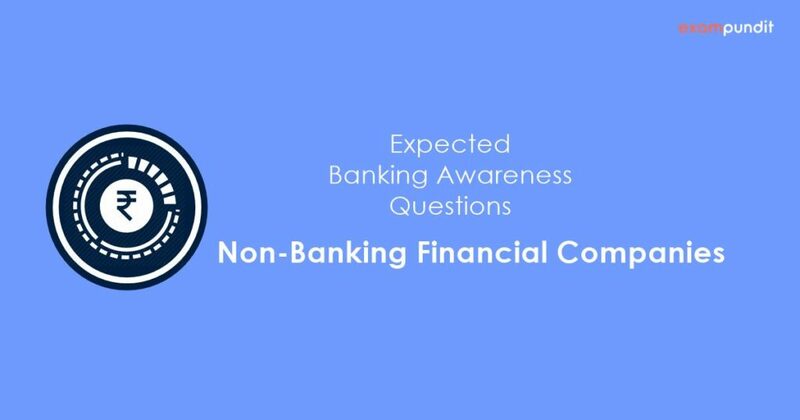 As a part of our Expected Banking Awareness Questions, today we have tried to cover all the important questions from Non-Banking Financial Companies. What is difference between banks & NBFCs? – NBFC cannot accept demand deposits; ii. NBFCs do not form part of the payment and settlement system and cannot issue cheques drawn on itself; iii. Deposit insurance facility of Deposit Insurance and Credit Guarantee Corporation is not available to depositors of NBFCs, unlike in case of banks. Like it? Leave a comment and it will motivate us!